One of Dave Manley’s assignments as an assistant coach at Mounds View was to scout opposing teams’ games. Mounds View was undefeated and mostly unchallenged in 1975-76, and the Mustangs were a lock to reach the state tournament. Back in those years, state quarterfinal matchups were predetermined, so the idea was to be fully prepared for that opening-round game. For the 1976 state tournament, the winner of Section 2 (Mounds View’s section) was locked into playing the winner of Section 6. Manley decided to take a close look at Richfield, figuring the Spartans were the most likely team to emerge from Section 6. 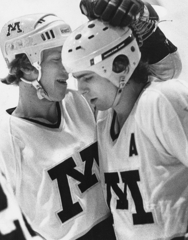 “I remember telling (Mounds View head coach Tom Wegleitner) that (Steve) Christoff was the guy,” Manley said. “We have to be able to control him and let Robby (McClanahan) and company be able to work. Turns out Manley was right about Richfield winning the Section 6 title. He was right about Christoff, too. “He was scary,” former Richfield coach Larry Hendrickson said about Christoff. “He is probably the most competitive kid I’ve coached in my life, bar none. Beyond his obvious talents -- superb speed and wicked shot among them -- Christoff’s will to win was an intangible that was impossible to gauge. 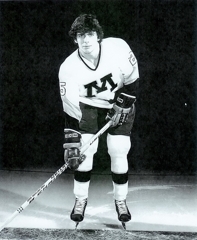 Mounds View also had a fiery, high-scoring senior destined for college and Olympic stardom in Rob McClanahan, and newspaper articles set the game up as Christoff vs. McClanahan. It might just as well have been a boxing title bout, complete with weigh-ins. Christoff didn’t see it that way. In one of the most lopsided first periods in state tournament history, at least in territorial play, Mounds View outshot Richfield 21-3. Incredibly, the score was 1-1, with Christoff scoring the lone goal for the Spartans. Christoff and McClanahan traded goals in the second period, when Richfield outshot Mounds View 10-4. 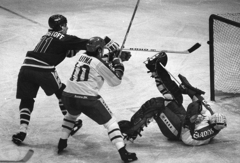 “Christoff was a brute,” former longtime Star Tribune hockey writer John Gilbert said. 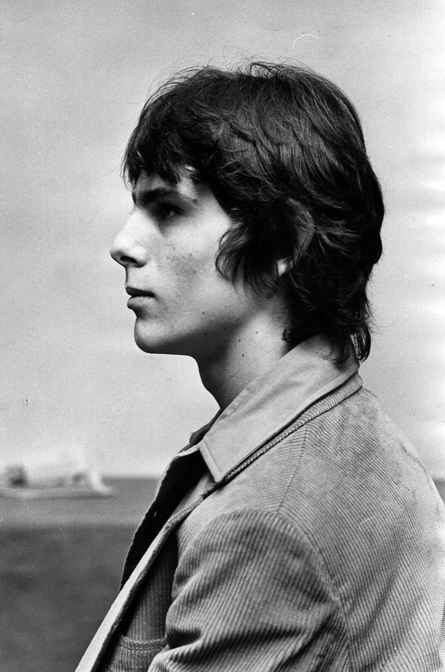 “He was a powerful, forceful skater who could just go through people. Richfield’s Tom Szepanski scored twice in the third period, with Christoff assisting on both goals. Mounds View’s Jeff Lundgren scored with an assist from McClanahan with less than 2 minutes remaining to make it 4-3, and that’s how the game ended. Christoff had a goal and an assist as the Spartans beat Bemidji 5-3 in the semifinals to earn a shot at northern powerhouse Grand Rapids, the defending state champion. Christoff scored twice and had an assist, but it wasn’t enough for the Spartans as they lost 4-3 in what remains the program’s lone championship game appearance. Heavily recruited by the University of Minnesota and then-Gophers coach Herb Brooks, Christoff scored 38 goals in 43 games as a junior during the 1978-79 season. 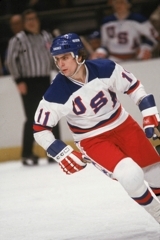 The Gophers won the national championship, and Christoff was selected by Brooks to play on the 1980 U.S. Olympic team that won the gold medal in Lake Placid, N.Y. 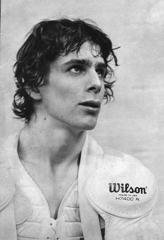 In an interesting bit of hockey triva, Christoff is the player who posed for the photographs used to sculpt the Hobey Baker Award given annually to the nation's top collegiate hockey award. Fifty skating poses were photographed and analyzed for the 16-inch high, 40-pound bronze trophy sculpted by Bill Mack of Bloomington. 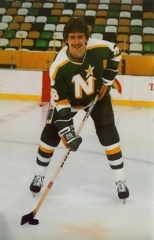 Christoff joined the Minnesota North Stars four days after the Olympics and played 248 regular season games in the NHL from 1980-84. 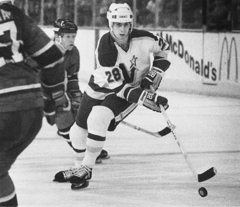 Christoff, who lives in the Twin Cities, retired from professional hockey in 1984 and works as a commercial airlines pilot.